• safety thermostat of the flat heating elements that pretects against higher temperatures in case of damage. Elegant Model 420.15: t has the same technical distinctive as Mod. 420 but with a different vacuum motor. Furthemore, it is a modular type and the sizes of packing are very reduced by allowing to reduce over 50% the transport freights. 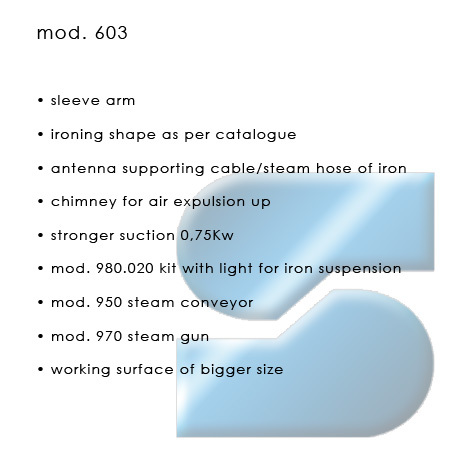 Elegant Model 510: it has the same technical distinctive as Mod. 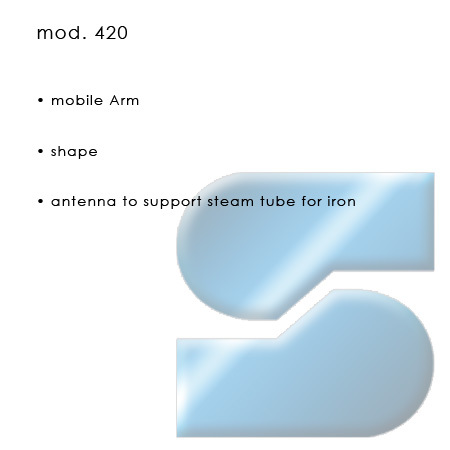 420 but without presetting for the mobile arm and shape. 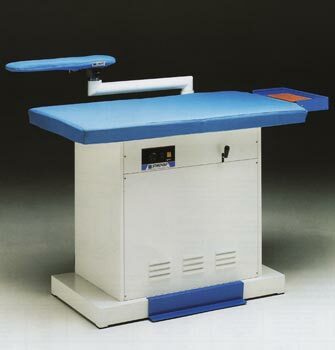 Elegant Model 425 - 525: they are suction - blowing boards (don't need compresses air to operate). The strong and reliable Elegant tables, manufactured by new European Rules, are recommended for fashion house, laundries, garments, hotels, ecc.